There's not much difference from start to finish on Quetzalcoatl here, except for the addition of the two headed snake. I really like how imaginative and violent Mayan/Aztec mythology is and how utterly alien it is to the Western mindset. Huitzilopotchli varies a bit from one to the next. The sketch is basically just a really rough idea of what I wanted. The pose is really different and the heart switched hands. 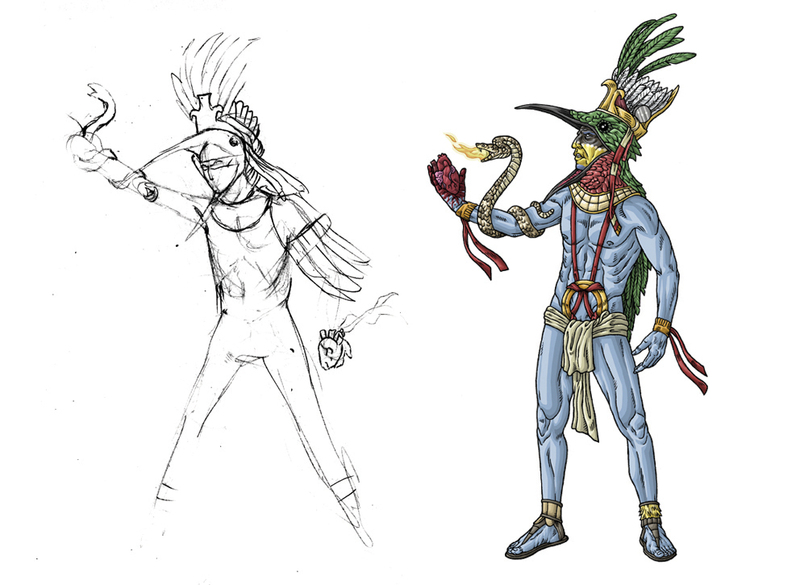 Plus, I had to interpret what I thought Mayan outfits would look like after researching their glyphs. I hope it's not too inaccurate. Finally we have a 'Umr at-Tawil. 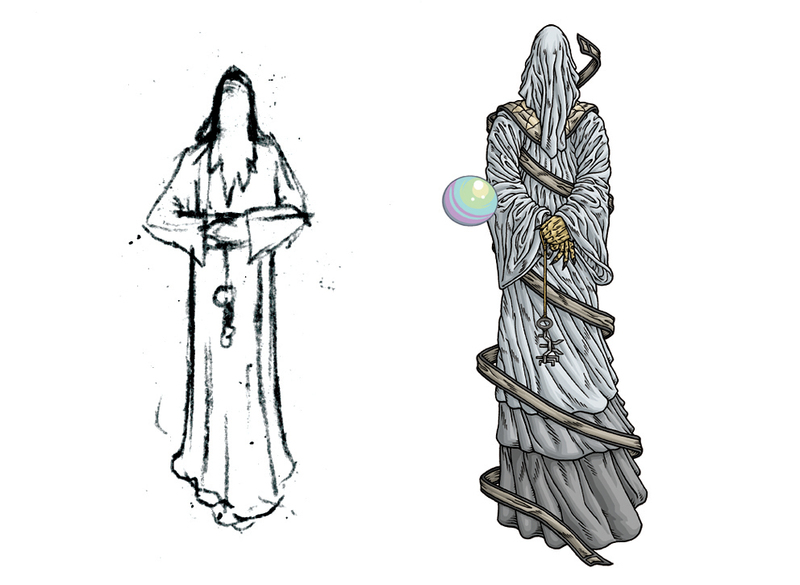 I changed a few things, like the layers of robe and the swirly, unnecessary ribbon encircling him but other than that, they look pretty similar. Hope you guys enjoyed the sketch posts..I'll make one more first attempt/redraw post and then in March it's three weeks of new monsters and zines! This batch of sketches are some Great Old Ones and are maybe the funniest/worst sketches I've posted. 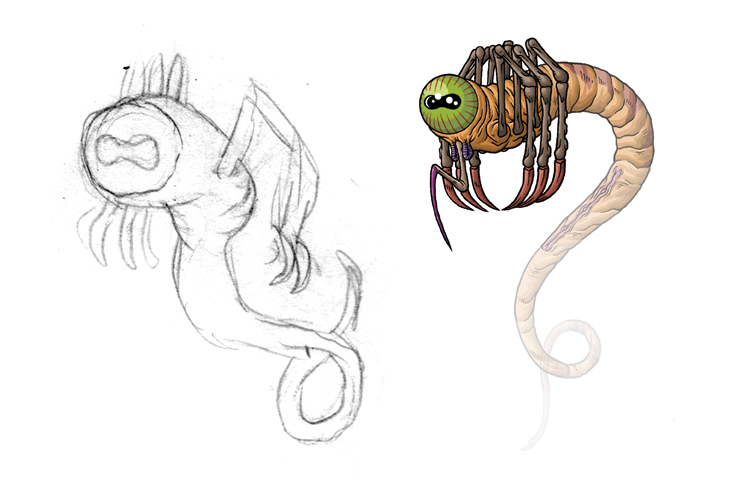 I'm really happy with the monsters themselves though. 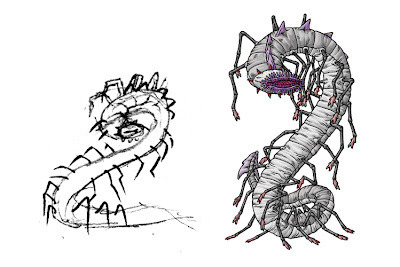 As you can see this K'thun sketch is dummmmmb. The eye being where it i sand the proportions of the mouths and the lack of tentacles make it look really goofy for some reason. 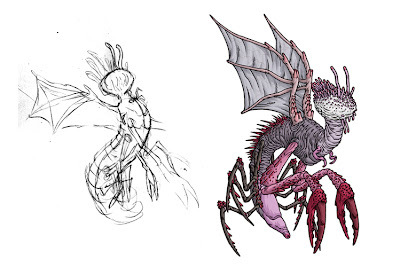 I do like the final version though. I got he idea for this one while staring at the tree outside Grindcore House last summer, but hopefully it doesn't look too tree-ish to be creepy. This Cthugha sketch is super rough but the basic concept is there. Fire and water are two things I have a lot of trouble portraying in my style. It doesn't come up too often so it's kind of hard to perfect. However, I think I finally go it with this thing and hopefully you guys like it too! 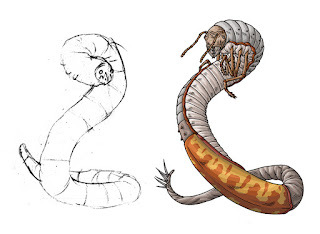 terrifying grub monster on the right. Tomorrow's the last of the sketch posts and it's full of Gods In Human Form. Don't forget, new guys coming in March! More sketches as we countdown to new posts in March. Her are two more small dudes that got redrawn. I may also do a post of first attempts and redraws later in the week. This new Wamp is way better and weirder than the original version. 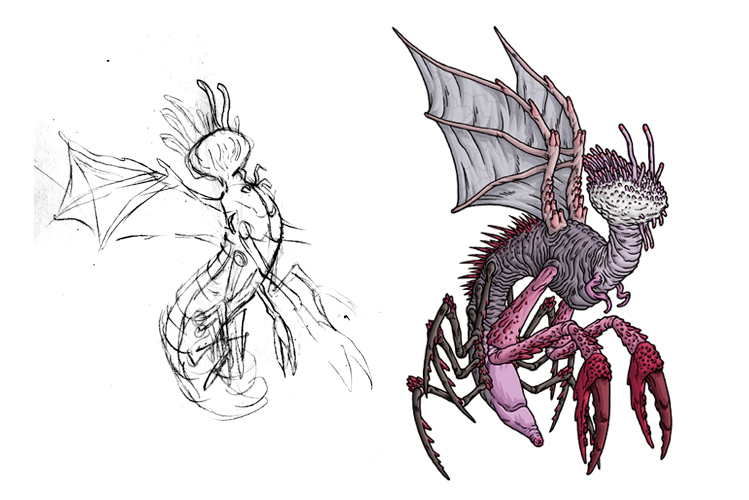 The sketch has a few differences from the final version. Mouth in the finish is way creepier and weirder. 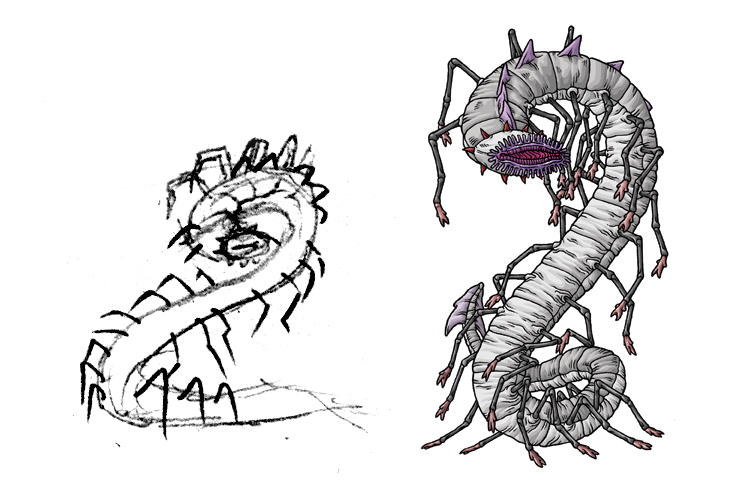 I also thought too many creatures I've drawn have had claw hands, so I wanted to try a more brutal appendage, haha...Skewer hands seem pretty gnarly to me. I've wrestled with the Mi-Go since I first started this project. I'm finally happy with this third version. 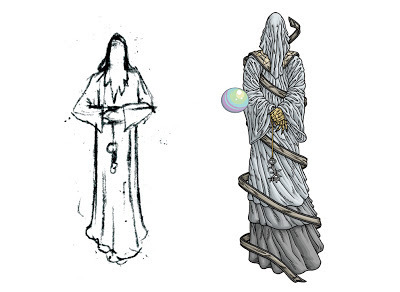 It's weird, distinctly my design but retains all of HPL's elements. 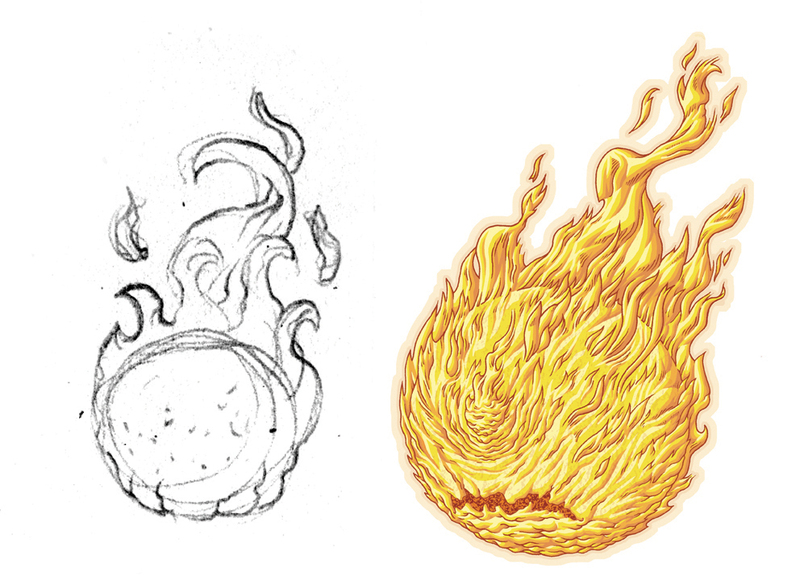 Another batch of sketches will be coming up tomorrow as we countdown to March. I know it's been an unusually long time since I posted, but it hasn't been for lack of trying. I've been swamped (in a good way) with freelance work, I've been traveling (as mentioned in the previous post) and I've been working on zines. 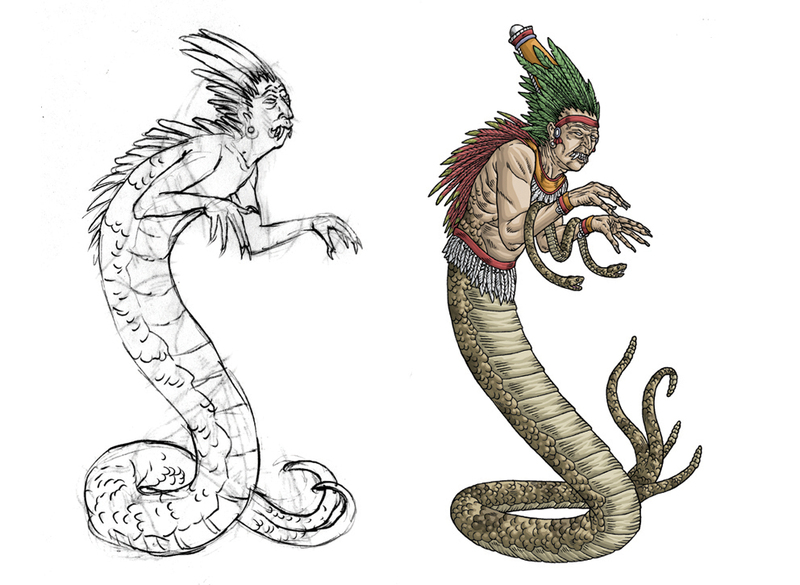 But I've also been working on monster drawings. So, my tentative schedule, is to post a bunch of sketches from now until the beginning of March, then post 3 weeks worth of monsters, then post the reprint of Volume III and then finally post the first print of Volume IV! It's gonna be a busy month. 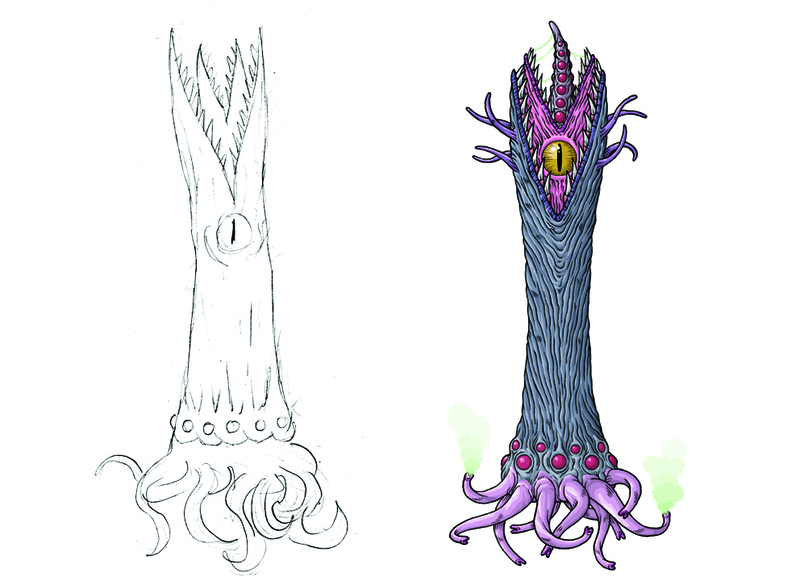 This first sketch is of one of my favorite Lovecraftian creatures, the Yakubian. This is my second go at this guy and the sketch is about the size of a dime which is why it looks so weird and small, but I really like this version better than the first. 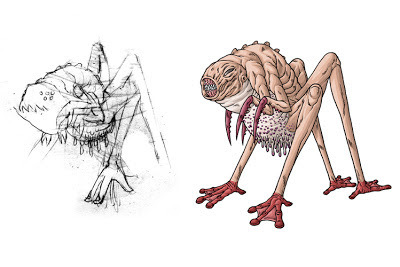 This Invisible Monster sketch isn't so invisible but the basic anatomy is the same from start to finish. And by the same I mean weird. So, stay tuned tomorrow for some more before and afters!